The purpose and mission of NatureBox is simple: They deliver better choices for snack food options to members on a monthly membership basis. 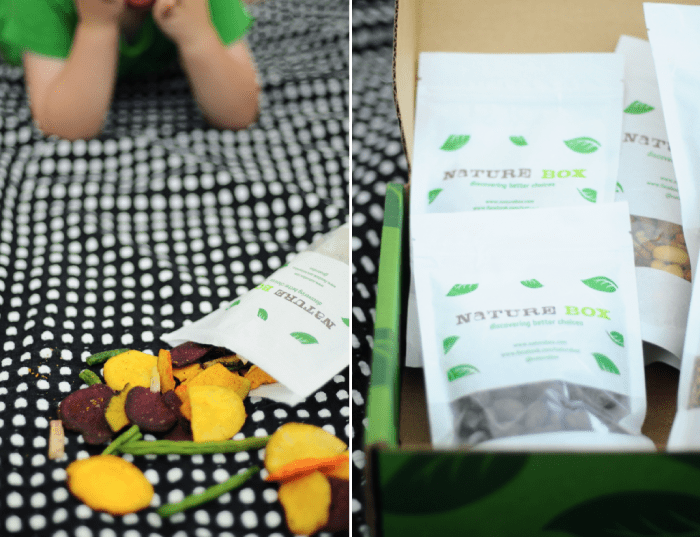 They are the perfect addition to the everyday family’s busy and healthy lifestyle (did you read our minds, NatureBox?) They change up their snacks each month so you won’t ever get stuck in a snack rut and you will always have a tasty and healthy option when the need for a snack strikes. 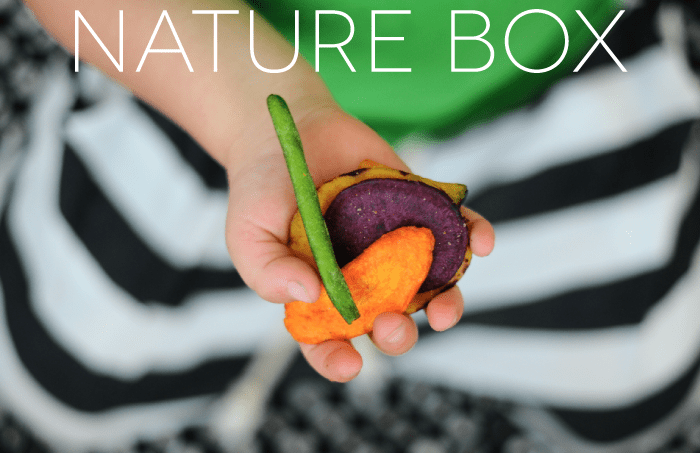 On the go, in your home, it doesn’t matter, NatureBox is perfect for any occasion! NatureBox items are all Nutritionist-approved. They abide by strict quality standards: No High Fructose Corn Syrup, No Partially Hydrogenated Oils, No Trans Fats, No Artificial Sweeteners, No Artificial Flavors, No Artificial Colors. You can see the contents of past months boxes as well as nutrition facts and even recipes on their blog Chew On This, as well as their Facebook and Twitter feeds. We are all snacking away the Sunshine chips are pictured above! Sweet potatoes, squash, carrots, taro, and green beans that are equally beautiful and delicious! NatureBox has made huge fans in us and we know you parents on the lookout for healthy snacks will love it as well! Ready to try it out? Use the promotional code “SMALLFRY” at check out for $10 off your 1st month with NatureBox, any size! I would love to see more original content on Small Fry and less peddling of affiliate businesses, clothing companies, and the like. I realize you ladies are in this to make money and sponsorships are a big part of that, but it’s starting to feel like one big ad. And I don’t mean to be unkind in any way. Just some feedback as a reader. I hope it doesn’t upset or offend any of you. I thought the adoption series was a breath of fresh air. Thanks for your comment! We appreciate your honesty and we recognized that as a trio a little while ago. We are doing our best to navigate through working with the awesome companies that come our way, learning to say no, and like you said, making the effort it requires to run this blog worth our time. 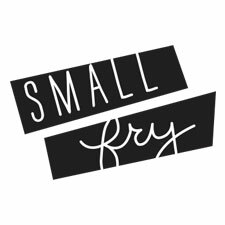 We appreciate your presence and reading Small Fry and we are making the necessary changes to improve! We hope you’ll see those changes soon, as they take effect! Wonderful. Thanks for the response, Emily! I acknowledge the concern of becoming one big billboard blog, though if you find products that you really do love and use, I enjoy seeing posts and learning about new things. On that note, if you are genuinely on the hunt for a way to take care of your family’s health and nutrition, I would be happy to send to you (for your consideration) information on a free children’s health study with Juice Plus that we participate in, along with some sample gummies of what I give my two girls (age 3 and 1). Any of your readers could participate in this health study.